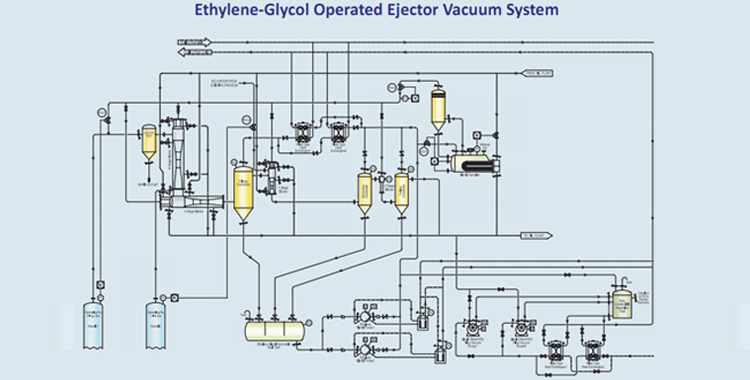 Chem Process’ Mono Ethylene-Glycol, MEG Operated Ejector Vacuum System eliminates the need of steam for all polyester plants, thereby drastically reducing running cost. Cost of such ethylene-glycol operated ejector system can be recovered in a few months and further savings and profit will continue as long as the plant remains in service. In the production of polyester polymers, the use of such systems enables effective waste reduction and energy conservation in reactor service. The motive fluid (MEG) in these systems is ethylene glycol which in the reactor ejectors acts as process solvent. 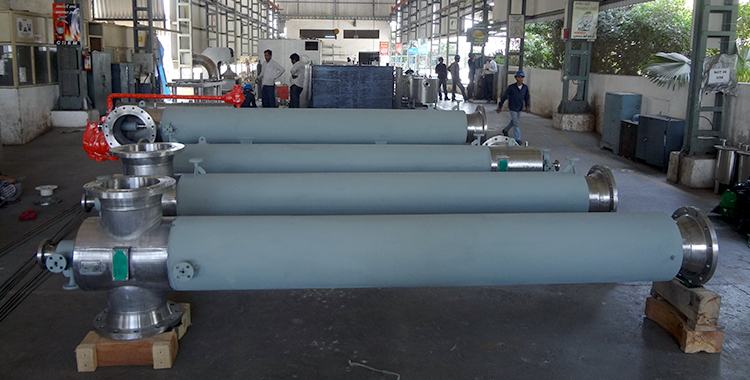 Mono ethylene-glycol ejector system involves the use of same process solvent (ethylene-glycol) as motive fluid there by eliminating the contamination of steam condensate. An added benefit of such a system is that the process contamination (usually caused by the back streaming of steam in conventional ejectors) is eliminated via the use of organic vapor. With such exceptional waste reducing features the design will be economically advantageous. Due to high boiling point requirements of such systems the intercondenser of ethylene-glycol ejector system will operate at lower pressures than conventional vacuum systems. This will in turn increase the benefits and reliability of design also with use of such process solvent (ethylene-glycol) and chances of corrosion are reduced to a great extent. 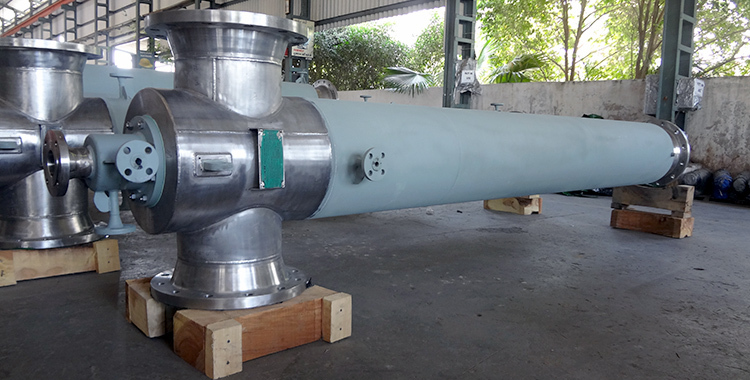 As a testimony to our design philosophy, Reliance Industries has recently awarded Chem Process Systems to design & supply Ethylene-Glycol Operated Ejector Vacuum System. This has been possible through Chem Process Systems state-of-the-art R&D centre equipped with the latest technology and modern testing instruments, where the results were demonstrated. However other organic vapors such as e.g. butandiol, trichloroethylene, butanol, mono chloride benzol can also be used as a motive medium for ejectors and their suitability can be well determined by its vapor pressure properties and curves.